After lurking for a while thought to sign up and introduce myself. Been a motorsports fan since forever, with roadsters always having a special place in my heart. My ‘love affair’ with roadsters and targas first started back in the day with a ’74 Yellow Porsche 914-6 which I bought at track while in college, and currently have a ’03 Red Boxster (IMS retrofit) along with a ’01 British Racing Green Mazda Miata (custom, modified). In between I’ve enjoyed muscle cars -- i.e., ’72 Blue Buick Skylark, ’77 Black Ford Mustang, ’87 Ford Mustang GT (NYC Police Blue) -- and also a ‘87 Black Porsche 944. But I missed that “top down fun” so much so that I wound up with not just one but two roadsters! (The Miata and Boxster are both fun albeit in different ways, both roadsters, but different cars). Picking up my Miata this weekend after having extensive body work done (restored to showroom condition and ready to descend on Indy!). 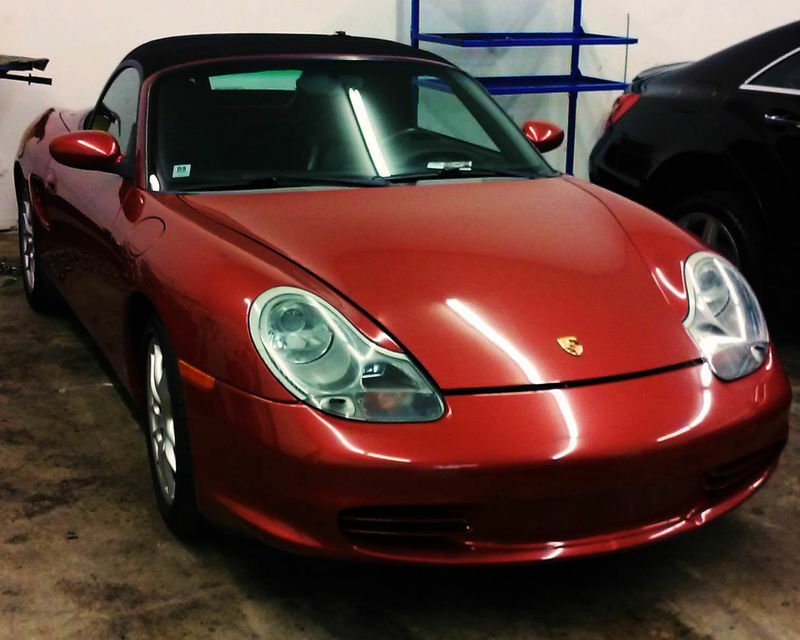 My Boxster (affectionately named “Fenrir”) after years of trouble free motoring and over 80,000miles (130,000 KM) on the dial suddenly without warning while on a nice “it’s finally spring” drive developed engine trouble (rod knock), and looking into options (a rebuild is likely). 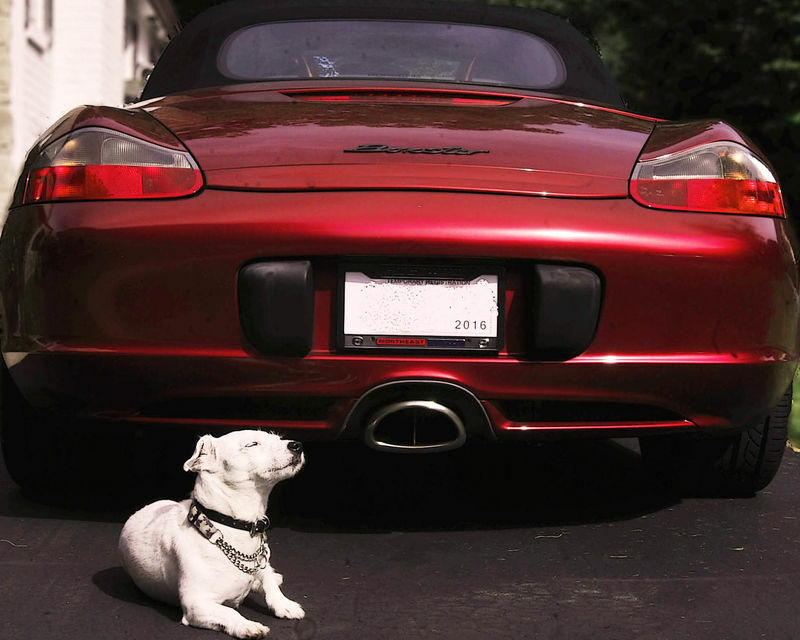 Good thing in the meantime I have two roadsters – can’t live without one! Then again, it really is all about the drive, isn’t it?! Can’t wait to get ‘Fenrir’ back up and running – summer’s coming, and soon! And it looks like your dog is enjoying the warm spring sun as well!